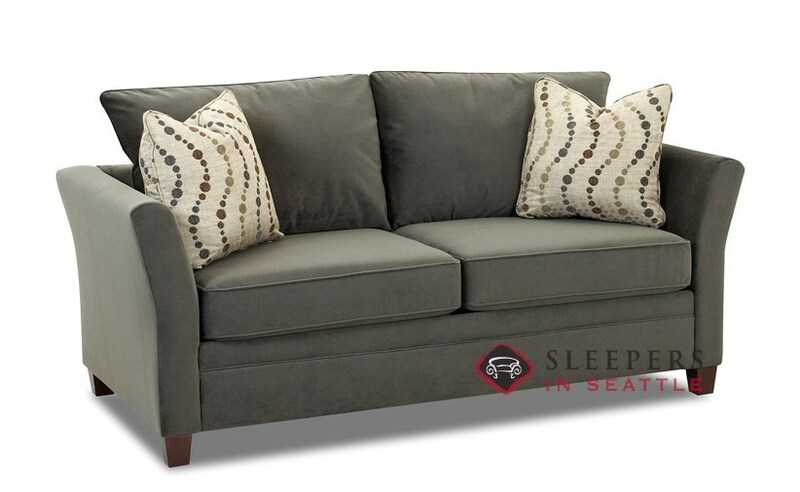 The stylish Murano Full Sleeper offers flared arms, a graceful and slender form, and square accent pillows. 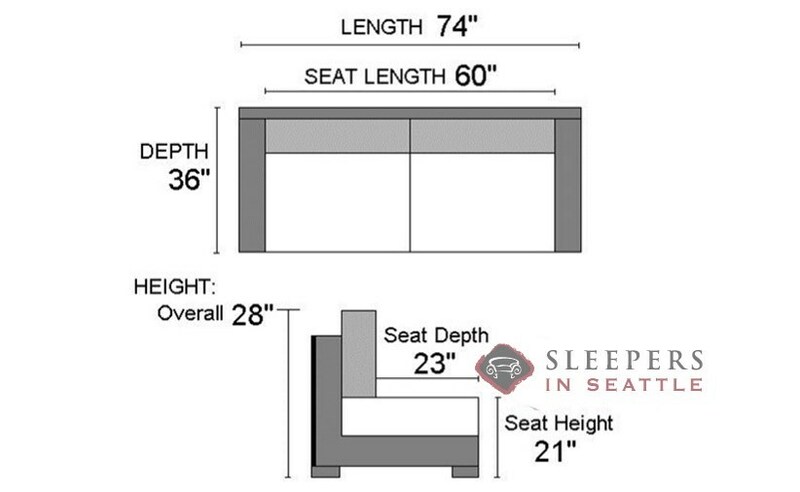 Also available with rectangular side-pillows as the Venice Full Sleeper. Delivery: the sofa arrived a few weeks later than anticipated, but the delivery was quick and easy. Sofa: the cushions are very soft, from my point of view they could be firmer. There should be a bit more padding on the arms and top of the back part of the sofa- in both places there are visible wear lines in the fabric after 6 months. More padding would prevent the harder edges making these marks. Other than that, a top notch sofa. 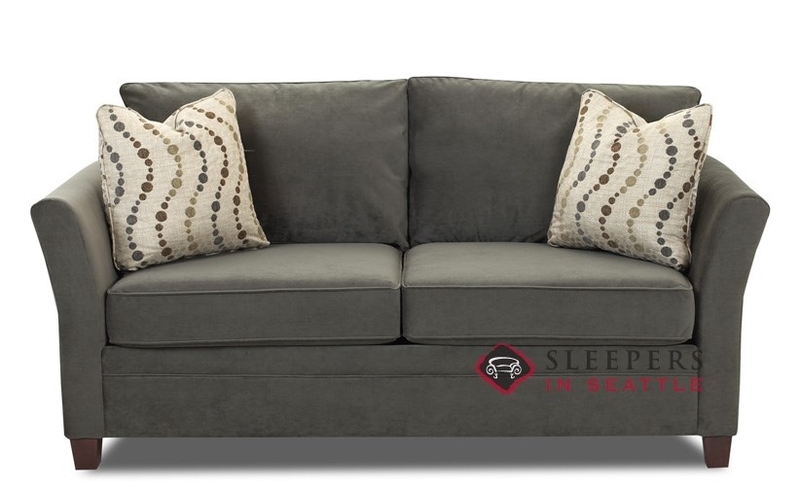 We bought this sofa in a fantastic charcoal color. We're very happy with it. The best part so far is how comfortable it is. It was a much-needed upgrade. I was excited about this sofa from the moment I found it on your site, but once it was out of it's package, I was completely smitten. It's the perfect size, I love the lines, and it's incredibly comfortable. I just want to sit on it all day. Thanks guys! What do the cleaning codes for the fabrics mean? Is there a chart somewhere I can't find, telling us all that? I'd like to make sure I get easy-clean fabrics, but I don't know what "W", "WS", "S", etc. mean! :) Thanks! Our cleaning code explained: The cleaning code is a letter that designates what type of cleaner to use on the fabric for spot cleaning. ‘W’ stands for a water-based cleaner; spot clean only with water or a water-based upholstery cleaner, shampoo or a mild detergent. 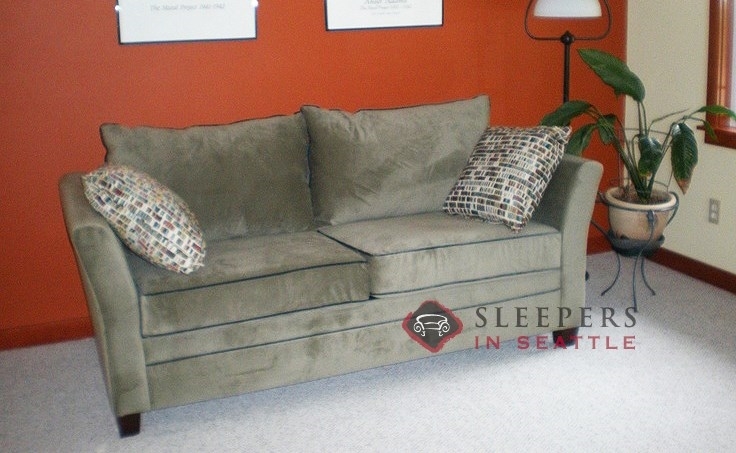 ‘S’ stands for a solvent-based cleaner; spot clean only with a water-free upholstery cleaner. ‘W/S’ means you can use either a water or solvent-based cleaner. ‘X’ means it should only be cleaned by vacuuming or by lightly brushing with a soft brush. Yes, absolutely! 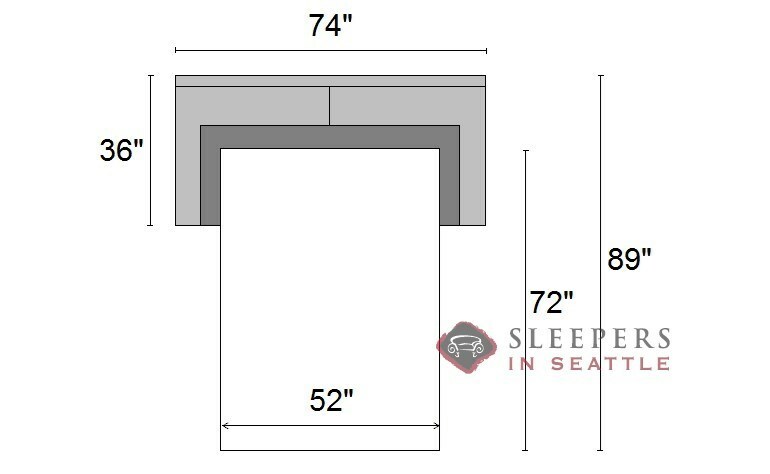 Because this is a loose pillow-back, the back cushions can be removed, and the seat cushions can also be flipped over.